If you are getting ready to buy a home, I bet there are some mistakes you are about to make and you have no idea how harmful they will be. 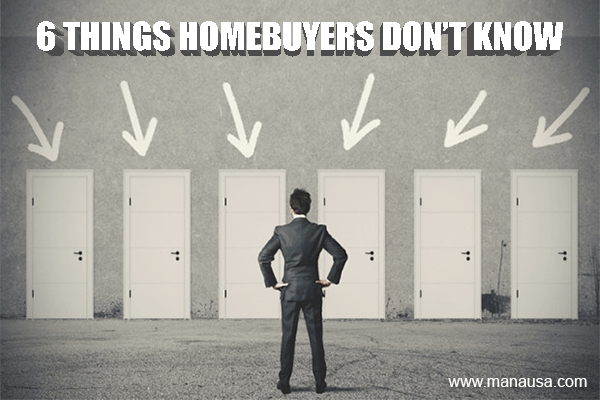 Fortunately, you can simply read the rest of this short article and be armed with the knowledge that will help you be different from most home buyers. You see, most home buyers end up unhappy with their purchase. In fact, when Chase Bank conducted a survey of recent homebuyers last year, they found that 80% wish they would have known more about the process of buying a home before they purchased, and the majority would have done things far differently. So learn from the mistakes of the buyers that came before you and avoid these 6 traps that will cause you anguish and cost your money the next time you buy a home. Years ago, we examined the actions and behaviors of homebuyers in order to develop a process that would save our homebuyer customers both time and money. As time has gone by, we have received a lot of feedback on "how different" we do things and the testimonials indicate that our evolving process continues to make our buyers part of the 20% who are happy a year after their purchase. 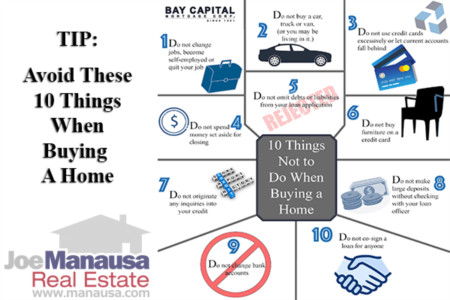 While this article does not elaborate on our process, it does identify six things that most homebuyers do not know that end up costing them money and/or satisfaction during the process of buying a home. You will save money if you hire your own agent - First on the list and the first thing you need to do. Question: How do 80% of homebuyers choose their real estate agent? Answer: They don't. They go out looking for houses and end up with a random assignment. This is the single greatest mistake caused by buyer ignorance, as most do not know that 95% of real estate agents are part-time and poorly trained. They do not know all the ways to save a buyer money, and they get out-negotiated in the one or two transactions they do every year. Go out and hire the best buyer's agent you can find, then go looking at properties. It matters what property search tool you use - If you are planning to buy a home in a year or so, I guess it does not really matter what property search tool that you use. After all, good homes don't stay on the market for a year, so if you are long-term, you'll be looking at homes that won't be available when it comes time for you to get serious. But most of the large property search tools are loaded with homes that are not available (many do it on purpose so that you find them for every property address, even those not on the market). If you are really wanting to see what you can buy within your budget, you need to be using the best local search tool for your housing market (here is the home search tool for Tallahassee). You cannot buy an overpriced home - Overpriced homes are being marketed by homeowners who are not yet motivated to move. How do you negotiate the best price possible with somebody who really isn't ready to sell their home? When you go look at overpriced homes, only two things can happen. 1. You won't like the home because it is not as nice as the other homes you have been viewing in a similar price range, thus you have wasted your time looking at the home. or ... 2. You will like the home. You will then either fail to get the home because the seller will want you to pay more for the home than it is worth, or you will get the home by overpaying. Do you really want to over-pay for a home? If you are financing the home purchase, the bank will not finance the amount of your over-payment, so expect to also bring that to closing with your down payment. There is a "best" offer you can make for each home - We have trained our buyer specialists to be able to assess current seller situations and utilize a negotiation methodology most likely to produce a best price for a buyer. Here's the thing ... You don't use the same method with every single homeowner. They are all in different situations, they have priced themselves into the market differently, so a champion negotiator is going to utilize the method that best fits the scenario. Every home (and every homeowner) requires a custom solution during the negotiation process. 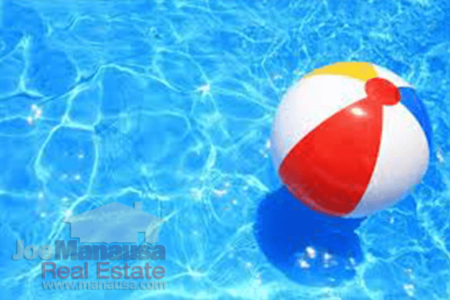 There is a "best" offer you can make, and you can only ascertain the price and terms of that offer after examining the seller's situation in each and every deal. So if your plan is to "come in low and see what the seller will do," plan on joining the list of 80% of homebuyers who are not fully satisfied with their purchase. The best way to buy a home is "as is" - This point is incredibly important, and it would require far more writing than the space within this article will allow. Suffice it to say, there are constraints that could negate this issue, such as a buyer being low on cash and not being able to handle repairs that are needed. But generally speaking (meaning for the majority of buyers in the market), you will get a better deal and end up in a home in better condition if you buy a home utilizing "as is" language in your contract. Why? Again, too many issues to cover here, but the simplest answer relates to the fact that you will choose how to address each and every issue with the home, rather than relying on a seller who is only trying to get rid of the home. Do you really want the departing owner deciding the level of quality of repairs and replacements being made "on your behalf?" The terms of the deal are more important than the price - Unless you are a cash buyer, there are ways of getting a better deal by focusing on the terms of the contract as opposed to merely focusing on price. This is why your buyer's agent needs to be an expert, someone who negotiates several contracts each and every month (not somebody learning with you). There are so many ways to hide value in a contract, and most sellers and real estate agents merely focus on the sales price in a transaction. As I tell my agents during our regular contract training classes ... "If you can show me how to live there for $500 per month, I don't mind paying $1M." In other words, there is more to a contract than just the sales price, and a great buyer's agent will ensure that you squeeze as much out of your purchase as possible. I hope you are better prepared to buy a home having read this article. The bottom line that you should have gleaned is that there is a right way (a system and a process) for every aspect of the home buying process. While you can leave most to chance, and many buyers do, you will likely not be happy with the outcome once you move in and live in your new home. Take the time to do things the right way, it will likely result in tens of thousands of dollars of savings and a far greater satisfaction in your lifestyle due to a superior home selection. We can put you in a position to utilize our tried and true home buying process, simply drop me a note and we'll contact you for a no-strings-attached initial consultation. Hey, Can You Tell Me About This House?